Clara Daly was traveling with her mother Jane from Boston to Los Angeles on an Alaska Airlines flight earlier this week. 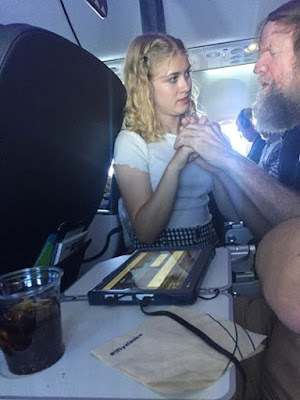 During the six-hour flight that included a layover in Portland, Oregon, Clara volunteered her skills in sign language to help a blind and deaf man by forming letters with her fingers while he "read" them with his hands. Clara told CNN a flight attendant asked on the plane's speaker whether anyone knew sign language. The teenager, who has been studying American Sign Language communication techniques and says she has "always been fascinated by sign language," pressed the call button to ring a flight attendant. During their conversation, in which Clara had to sign each letter in every word so that Cook could feel her hands, the teenager learned about Cook's past as a salesman, and he asked her about her life. Clara's generosity didn't go unnoticed. A passenger named Lynette Scribner took a photo of one of the moments Clara was communicating with Cook and shared it on Facebook. Have you already seen this story? With all the bad things going on in the world today, an act of kindness like this is quite refreshing! Thanks for visiting and have a great week! I guess I'm showing my age if I say I remember Jack Benny. I don't remember his show; I'm a little too young for that. But I do remember him being a guest on various talk shows or variety shows and he always made me laugh. Since I know a few things about the early days of television, I knew that African-American actor Eddie Anderson played his valet Rochester on Benny's comedy series The Jack Benny Show. What I didn't know was that the two men maintained a solid friendship. Here's a portion of an article from Americacomesalive.com that I hope you'll enjoy! 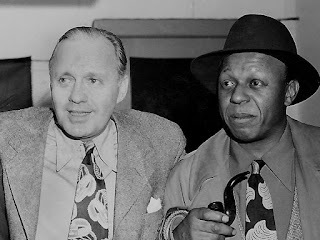 The humor and energy between Jack Benny and Eddie Anderson led to the development of a 20-year collaboration that delighted radio, television, and film audiences. The men’s relationship was solid on air and off. Jack Benny refused to tolerate poor treatment of Anderson. In 1943 the company arrived in St. Joseph, Missouri, where they planned to do one of their radio shows. Anderson and his wife were denied a hotel room, and only at Benny’s urging did the hotel management find the Andersons a room. Another time in New York, a Southern couple complained about a black man staying in the hotel so the manager approached Anderson suggesting he find a room elsewhere. The show’s producer told the manager Anderson would leave the hotel the next day. The next morning all 44 members of the cast and crew checked out with Anderson and moved to another hotel. During World War II, Benny often remarked on-air about African American contributions to the war effort. In 1948 after the show re-used a script from the early 1940s that contained issues that were racial stereotypes, Benny was displeased and ordered his writers to refrain from any sort of racial stereotype or slur. 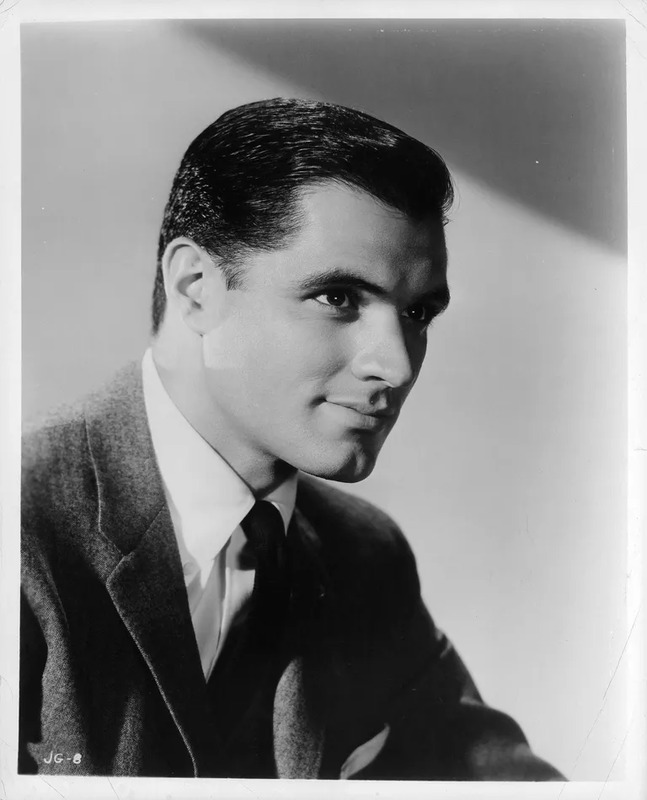 Rochester was to be considered an integral part of the show, and as his role evolved it became typical for Rochester to cut through Benny’s pomposity with comments like, “What’s that, Boss?”). African Americans warmed to the character and appreciated that Anderson had broken a barrier—he was a black man playing the role of a black man; not a white man playing the role in black face. Here is a classic scene with Rochester carrying the humor of the scene. Do you remember Jack Benny? Thanks for visiting and have a great week! I was looking for something interesting to post today and ran across this interesting tidbit from Thoughtco.com about classic celebrities who passed for white. In 1981, however, Gavin’s heritage resulted in former actor and President Ronald Reagan appointing him the U.S. Ambassador to Mexico. Gavin served as ambassador until 1986. I never would have guessed! Would you? Thanks for visiting and have a great week!